You might be worrying about going over your budget for your wedding but I bet you are a way off spending what these couples did. The wedding took place over four days and cost around £30 million. The engagement party was rumoured to be the only public function to ever be held at the Palace of Versailles. 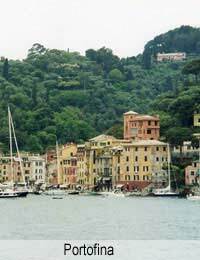 The couple flew their guests to Portofino and the 16th century castle that was the venue of their wedding. They were married overlooking the Italian Riviera. Colleen's dress by Marchesa is believed to have cost £200,000. Although they divorced only a year later it is rumoured they spend $3.5 million on their wedding. Their guest list was full of celebrities including best man Michael Jackson. Another now divorced couple, they were rumoured to have spent $3 million on their wedding in 2002. The ceremony took place at Castle Leslie in Ireland, which was filled with flowers of various types. Heather designed her own dress and carried a bouquet of roses named after Paul. Another Italian wedding in the beautiful Odescalchi Castle. The usual $50,000 for the hire of the venue was waived yet the wedding was still estimated to cost more than $2 million. Allegedly Katie spent $3000 on lacy underwear for the special day. Their evening ceremony was performed by a Scientology minister. The couple married in New York's famous Plaza hotel. Crowds of fans and photographers lined the streets and waved the couple into the Plaza ballroom. Wales met Hollywood with the Welsh dragon and America stars and strips fluttering above the door to the hotel. Private photographs were banned and guests had to show their holographic invitations to get in. The wedding was said to cost $1.5 million. With a wedding costing £900,000 the couple got married in Palm Beach, Florida. Guests to the wedding included Oprah Winfrey, Arnold Schwarzenegger and David Letterman. Melania's dress had a 13 foot train and cost more than $100,000. It was covered in 1500 rhinestones and pearls. Their wedding cake was a five foot high, seven tiered cake covered in roses made from white icing.